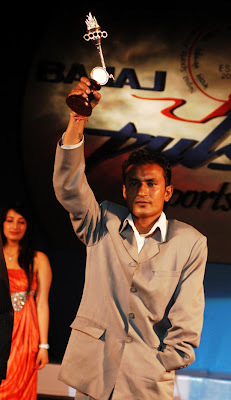 My favorite Bajaj Pulsar Sports Award organized by NSJF is the Para-Athlete award. Glad to see one sports related body in Nepal thinking outside the box. This year Arjun Kumar Sapkota, who lost one hand in an accident, won the award for his accomplishments in differently-abled table tennis.